Does our fat contain the elixir of youth? Yes! Thanks to a new, autologous skin-rejuvenation technique – nanofat grafting – your skin can be more radiant and more beautiful! Heat, ultra-violet rays, smoking, stress and aging dehydrate the skin and adulterate the lipids in the protective hydrolipidic film at the skin’s surface, and those in the intercellular cement of the stratum corneum. Our elastin and collagen break down more quickly, leaving behind weakened skin that is vulnerable and more sensitive to external aggressions. 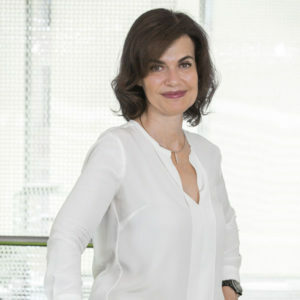 A number of solutions are available, but skin rejuvenation using the nanofat technique is highly effective, uses substances harvested from your own body, and lasts several years. It is what we call “auto regenerative medicine”. When you look in the mirror, you want your skin to look beautiful so you feel more confident, more attractive. Two elements are essential when we look at our skin: the first is health and the second is youth. What are the indicators of good skin health? First and foremost, the skin should look fresh, bright, natural and radiant. It should look hydrated and clean, not sensitive. 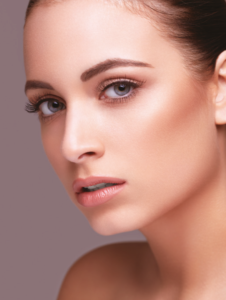 What are the indicators of youthful skin? It should be even-textured with no marks and no lines. It should look firm, elastic and free from enlarged pores, scarring and sagging. Skin quality demands vary in different countries. In France, patients want their skin to be even and matt, with a flawless texture; in England, for example, they want their skin to be well-hydrated and plump; in China they want their skin to look natural, rested and youthful. The skin is a very important organ because it protects us! It contains a number of sensors that allow us to feel; it regulates our temperature; it is a huge blood reservoir, containing 8 to 10% of our body’s blood stores; and it allows our body to secrete a number of substances through our sweat. It has a complex structure, made up of the epidermis, which is a barrier against water, micro-organisms and various chemical substances; the dermis, which gives it strength and rigidity thanks to the papillary dermis and the reticular dermis; and, finally, the highly-vascular subcutaneous tissue, which contains the adipose tissue and acts as an interface between the dermis and the muscles and tendons. Multiple factors affect the skin quality, both positively and negatively. Things that have a positive effect are: a good environment with no pollution, a healthy lifestyle, enough sleep, a good diet, being relaxed, being healthy, staying active, and having good genes. Things that have a negative effect are: pollution, sun, ultraviolet rays, air conditioning, long working hours, stress, restrictive diets, smoking, bad health, aging and bad genes. The two main factors of skin aging are sun exposure and smoking. What are the aims of our treatment? We want to rejuvenate the skin by boosting vascularisation, neocollagenesis and tissue and nerve regeneration. The result is intensely-hydrated and nourished skin. We want to make the skin look refreshed, reduce wrinkles and fine lines, and firm up the facial contours, while maintaining a natural look. Why use fat? Could this fat, which we all hate so much, contain the elixir of youth? Fat is made up of 30 to 60% adipocytes, plus blood cells. After this fat is put through a centrifuge, we obtain a red pellet, which contains stromal vascular fraction (SVF). SVF is made up of endothelial cells, haematopoietic cells, pericytes, fibroblasts and, most importantly, Adipose Derived Stem Cells (ADSC). These cells are capable of transforming themselves into other cells, but, above all, they have an important paracrine function: secreting growth factors. The discovery of ADSCs led to the development of a new technique: nanofat grafting. Nanofat is an emulsion obtained from your own fat which has regenerative properties and which can be injected using a fine needle or a cannula. The procedure is purely mechanical, and SVF is the main component. It is easy to harvest with medically-approved equipment. The treatment is carried out in one day and the clinical trials have proven that it is safe. It is important to know what the exact composition of this nanofat is. Does its composition change from one sample to another? Do the cells vary from one donor area to another? Each stage of the process is important and can alter the result. A number of studies are being carried out, but today we know that nanofats contain no viable adipocytes, only mesenchymal cells, which means that nanofats cannot increase volumes: this is not a lipofilling procedure. The fat is harvested under local anaesthetic, from the inside of the knee, the outer thigh or the abdominal wall, using a very fine 18G cannula. The fat is sent through a closed system into a pouch that contains the first filters. After the harvested fat (around 20ml) has been rinsed using a saline solution, we remove the microfat from the pouch. This microfat is then sent through four filters, which get finer and finer, the last one of which is the NanoTransfer (600/400 microns), leaving us with a substance that contains no viable adipocytes, as they have all been destroyed, and with a maximum number of fibres removed. This is how we obtain the nanofat. What is left is the fat tissue matrix that contains regenerative cells. To this emulsion, we add 20% Platelet-Rich Plasma (PRP) to improve cell integration. The emulsion is injected subcutaneously using a 25G cannula, through four entry points and all over the face. An average of 15ml of nanofat/ PRP is injected. The procedure lasts around 2 hours and is pain-free. Only minor complications have been reported, namely redness and swelling for 2 to 4 days, and bruising and pain in the donor site. After around four weeks, we notice that the skin feels more hydrated, with a healthier complexion. It takes three months for the skin’s texture to be regenerated, hyperpigmentation and scars to fade, leaving a clear, radiant and even complexion, firmer and more elastic skin, and a cleaner oval. Dark shadows are reduced, fine lines and wrinkles are erased, the skin texture is improved and the skin is more hydrated: baby-soft skin, in short! Six months later, we notice a real lifting effect, and the improvements continue over 9 and possibly even 12 months after treatment, with perfectly natural- looking results. To conclude, nanofat is highly effective for rejuvenating the face. This autologous procedure is carried out in one session. SVF is the main component, and the results last several years. Female beauty is based on the characteristics of sensuality, freshness and health. This procedure gives you radiant skin without any risk of rejection, since we reinject your own cells, and with no risk of looking frozen or unnatural: it simply turns back the clock in a completely natural way. You come to see us because you want to look more beautiful, and you leave happy. It is a guaranteed way of boosting your self-esteem and allows you to move forward confidently. 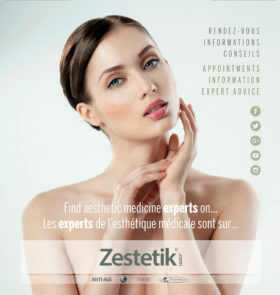 Aesthetic physician, Medical Director at the Forever Institut Geneva (Switzerland). Specialist in aesthetic gynaecology, regenerative medicine and internal medicine. Physician trainer in HA and Toxins for Allergan; physician trainer in Ulthera and Cellfina for Merz; physician trainer for aesthetic gynaecology, microfat and nanofat grafting. Medical speaker at international courses and congresses.